In 2015 Malene Hartmann Rasmussen won the prestigious Jerwood Makers Open, for which she created the large scale theatrical installation, In The Dead of the Night, an immersive and surreal ceramic forest. The installation has been touring the UK for the past year and we are delighted to conclude its exhibition schedule with a special presentation at Jessica Carlisle. Hartmann Rasmussen’s mixed-media ceramic installations draw upon motifs from the domestic and natural world. Memories, daydreams and childhood nostalgia are all called upon by the artist, who weaves them together into a fairytale of her own making. 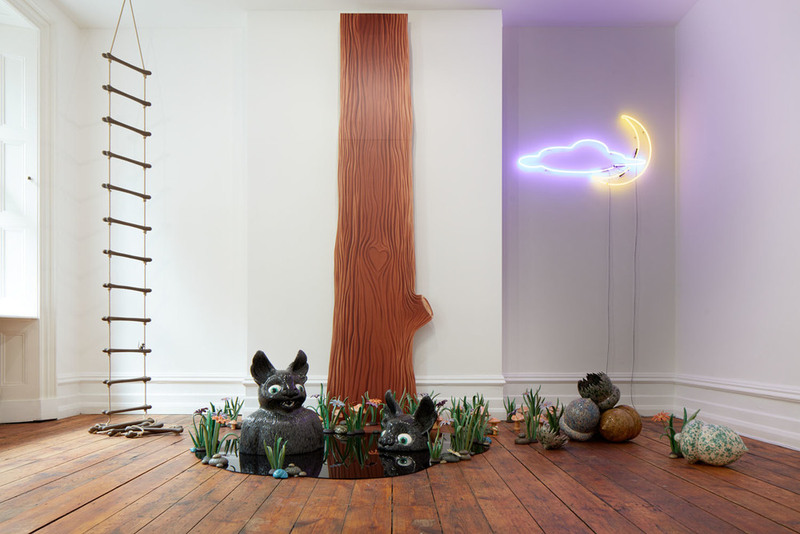 In In The Dead of Night, the artist has utilised the idea of trompe l’oeil, the technique of using realistic imagery to create an optical illusion, and created lifesize, scenic trees by scaling up images of hand-crafted ceramic branches. Visitors are encouraged to venture through the woods to explore a fairytale-esque space of ceramic flora, fauna and intriguing narrative scenarios. The artist’s interest in the forest stems from its recurrence in European literature and myth, ancient cults, pagan rituals and as a metaphor for the hidden realms of the unconscious mind. Comprising a number of elaborate fragments, Rasmussen creates a tableaux of visual excess through which she seeks to evoke an emotional response in the viewer and actuate their imagination. Rasmussen is interested in the human subconscious; she strives to create a hyper-real world that addresses this gap between perception and reality. 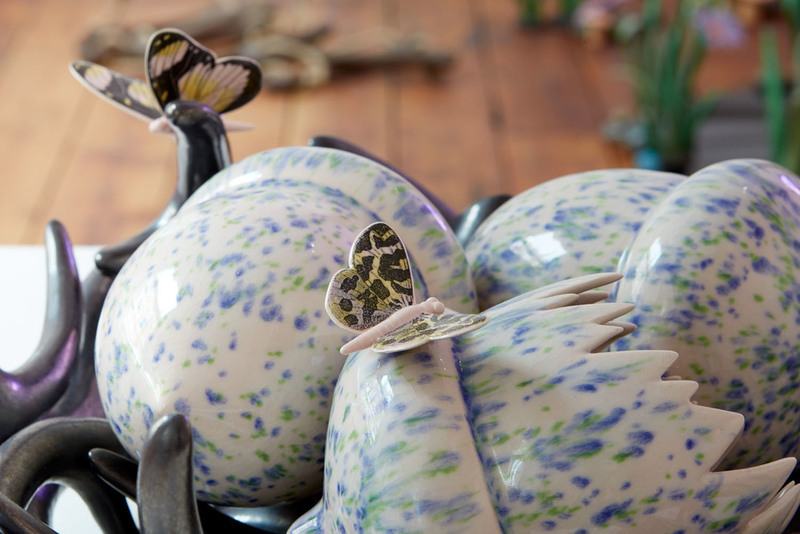 Her ornate ceramics may initially appear excessively sweet but upon closer inspection reveal themselves as impossible and absurd objects, imbued with the artist’s own dark narrative.